Original taste of gol peda from Kolkata. Shelf life is of 10 to 15 days. 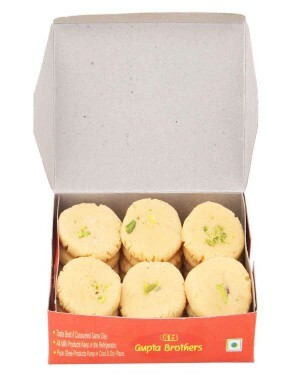 A traditional sweet from Uttar Pradesh made of khoa and sugar. Uniquely made by Gupta brothers. Products are made up of pure and natural ingredients.